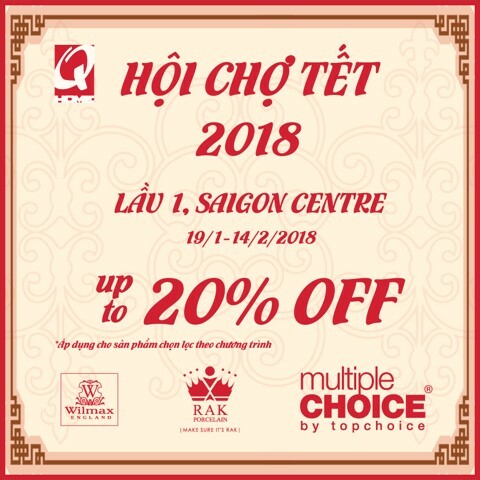 From 19/01-14/02, Qhome is pleased to offer special promotion just for our beloved customers with up to 20% when purchasing at Qhome’s Tet Booth, Level 1 Saigon Centre. *Applicable for selected items for following brands: Top Choice, Rak Porcelain, Wilmax England. Born from the desire of sharing joy with others, Qhome began in 1997 as a small store specialized in tableware in Saigon Centre, Ho Chi Minh city. Since establishment, we have developed into Quang Anh Co. Ltd, headquartered at the same location as our showroom. We always strive for higher quality as our company evolves.